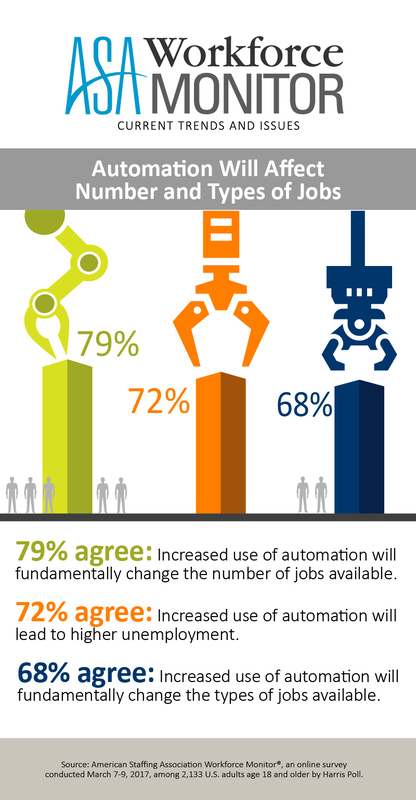 The American Staffing Association Workforce Monitor survey series focuses on current U.S. workforce trends and issues. 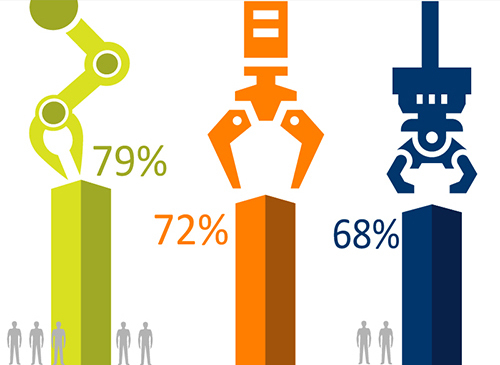 Here you can see and download a summary of survey findings and infographics on the results. 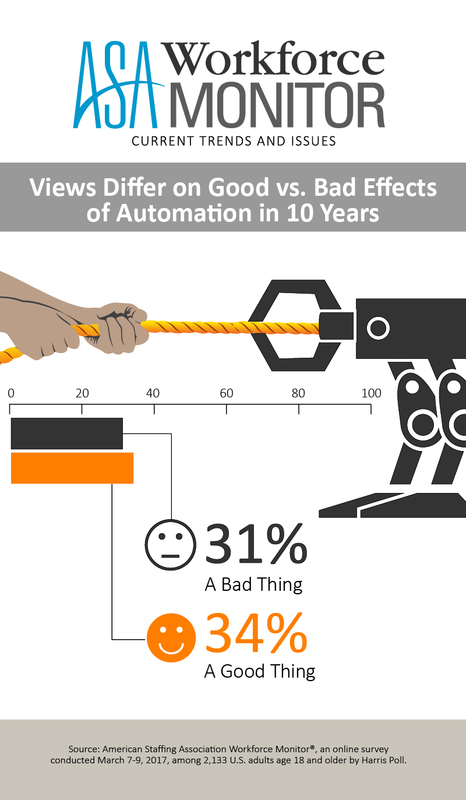 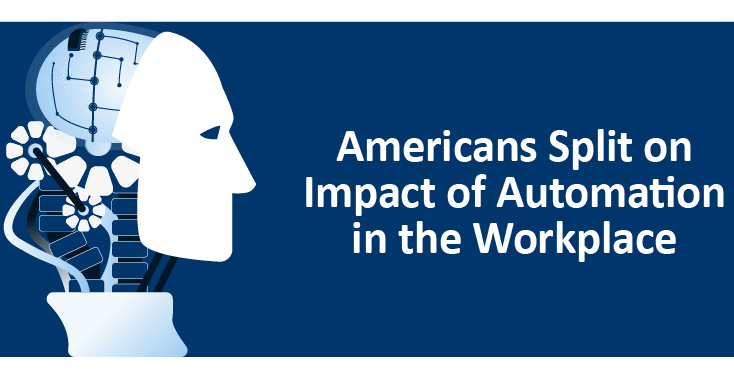 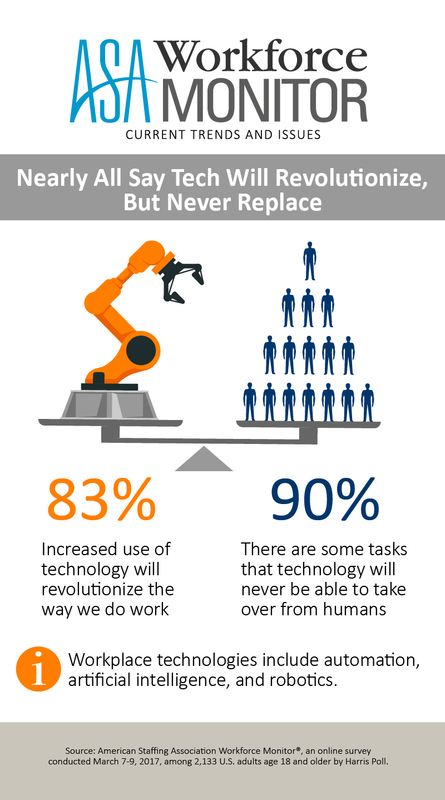 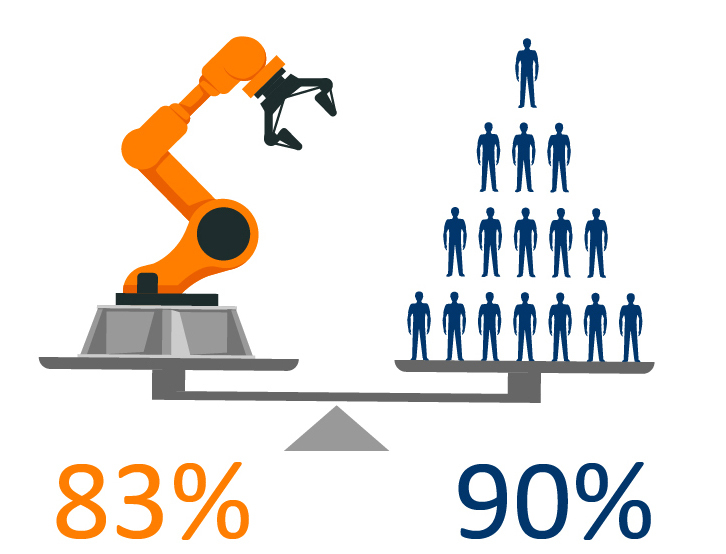 This American Staffing Association Workforce Monitor survey reveals views on the effects of automation (e.g., robots or artificial intelligence) in the workplace.